Whether you're dreaming of a hundred acre horse farm, a tiny jewel of a downtown cottage or a magnificent home on the fairway, Aiken, South Carolina is the perfect place to call home. This quaint Southern city welcomes folks with the friendliness of a small town and vibrancy of a bustling metropolis. The real estate market in Aiken is constantly attractive as people come here from all over the world to train their thoroughbred race horses, play polo or golf, row or hike or simply partake in any of the other sporting activities which can be enjoyed year round. Almost since its inception, Aiken has been a locale that folks, including other Southerners, have come to bask in the mild climate away from the threat of coastal hurricanes yet close enough to make the ocean and other seaside activities within very easy reach. Aiken has a long history as the premier sporting community of the Southeast and is now experiencing a resurgence in popularity by all ages and interests. Home to one of the oldest and most prestigious polo communities in the country, the city offers exciting opportunities for play or for genteel picnicking at field side. Several local hunts provide bracing days in the field, relaxed get-togethers at the tailgate and gala balls to wrap up the season. Thriving contingents of dressage, carriage driving and hunter/jumper eventing as well as Western-style equestrians pursue their sport in numerous clubs and horse shows. 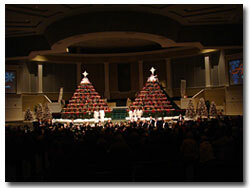 The Hitchcock Woods, adjoining the downtown area, is yet another scenic venue. The largest urban forest in America, this 2000+ acre preserve welcomes horse enthusiasts, dog walkers, hikers and nature buffs. 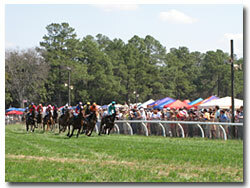 Aiken's famed Winter Colony has been attracting seasonal sportsmen since the 1800's. Historic estate homes offering a lifestyle steeped in the charms of a bygone era are surprisingly affordable. And then there's the golf, with year-round play at area courses – many designed by world-renowned course architects. The esteemed Palmetto Golf Club was designed by Dr. Alastair McKenzie, the man behind Augusta National, where the Masters Tournament takes place less than 25 miles away. Aiken also boasts six spectacular golf communities where duffers can live right beside the fairway, finishing up a great round from the comfort of their own patio. Aiken has superior medical facilities with one of the best cardiac care centers available and a new cancer center affiliated with M.D. Anderson Cancer Institute. For those traveling by air or seeking the amenities of a large city, Aiken is in close proximity to both Augusta, Ga. and Columbia, SC. 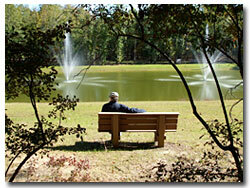 Blanketed in miles of rural countryside, Aiken is graced with urban charm as well. 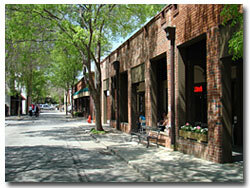 With a flourishing Center for the Arts and a beautifully maintained historic district, resident and visitors can browse for treasures in many unique shops, enjoy a scenic stroll and relax at sidewalk cafes.